The holiday buyers’ season is in full effect, and as expected, consumers are already on the hunt for the best steals and products available. Considering the massive increase in headphones sales over the past three years (thank you Beats By Dre), the odds have you penciling in a pair of sound blasters on your wish list. With so many options to choose from, professional (and novice) audiophiles are caught in an emotional bind feeling both excited and overwhelmed by the number of audio products flooding store shelves. Obviously, not every item is worth dropping a few Benjamins on. Then again, some are. So whether you seek a boost in portable audio, want to enhance your home entertainment experience, or need a fashion-forward gadget to match your Jordans—we assembled a collection of the hottest headphones sure to accommodate all sound junkies. 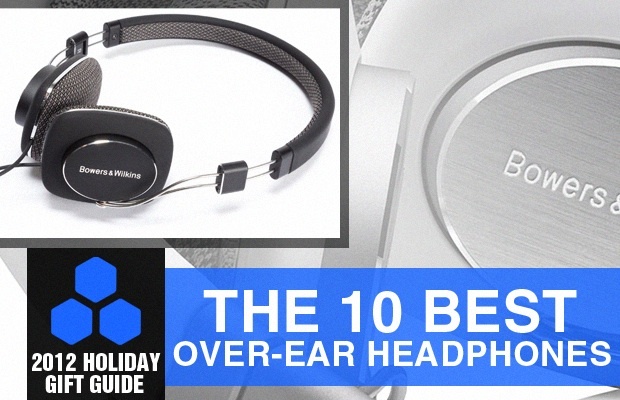 Take a look at the 10 Best Over-Ear Headphones available this holiday season. The Monster Inspiration, beats executive and bowers & wilkins P3’s do not belong in this list (although I absolutely love the look of the P3’s the sound quality isn’t great) and the lack of The Sennheiser Momentum is very puzzling since I happen to think that they are hands down the best Headphone of 2012 with the V-moda M-100 a very close second.